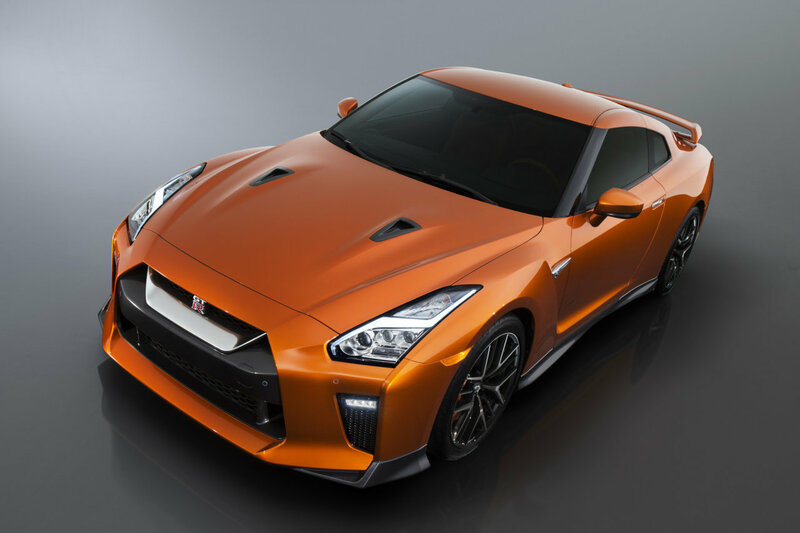 Nissan has strolled into the New York Auto Show and pulled the sheets off the largest and most substantial change to the R35-generation GT-R since the introduction of the Nismo model. 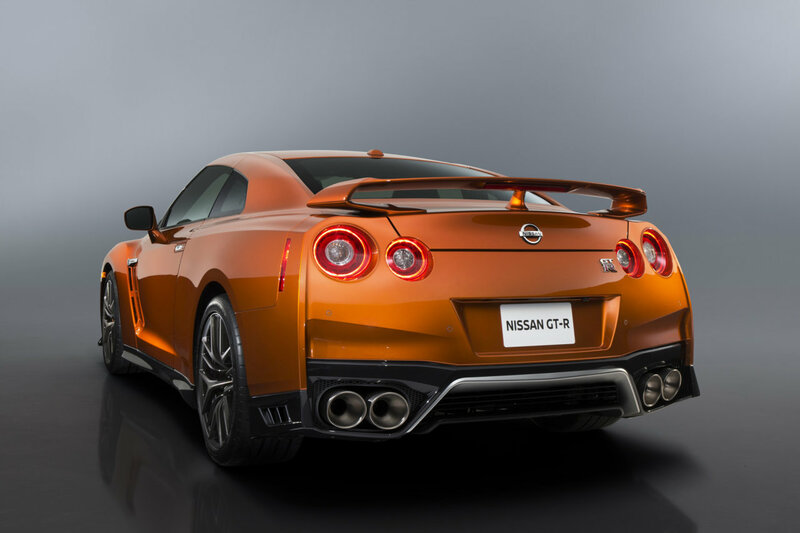 The new 2017 GT-R looks very similar at first glance to the previous models, but when you take a second to stop and really look, you will see a huge collection of changes that permeate the car from tip to tail. And that is before we get to the updated powerplant or the cabin. 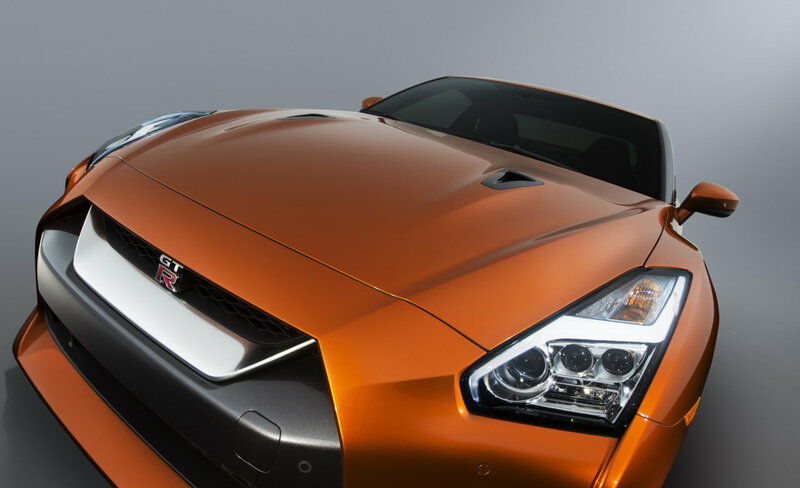 The most noticeable change is found on the nose of the 2017 GT-R. 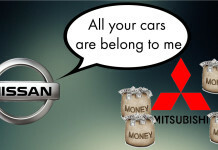 The new grille is similar to the new corporate face found on many Nissans, with a sharp metallic U shape in the upper section. The bumper is also now slightly more sculpted, and the grille has been widened and creased. The sides of that bumper also have new vents and LED fog lights. Rounding out the new bumper is a new lower lip that increases down force without dramatically increasing drag. It’s hard to tell, but the hood is new as well. The most striking change to the front of the car is the new headlights. A multi-lamp setup is slotted into the lower third of the housing, and then splitting the assembly in half is a sharp LED lightbar that slices through like a lightning bolt. The turn signals and parking lamps are housed in the upper part of the assembly. 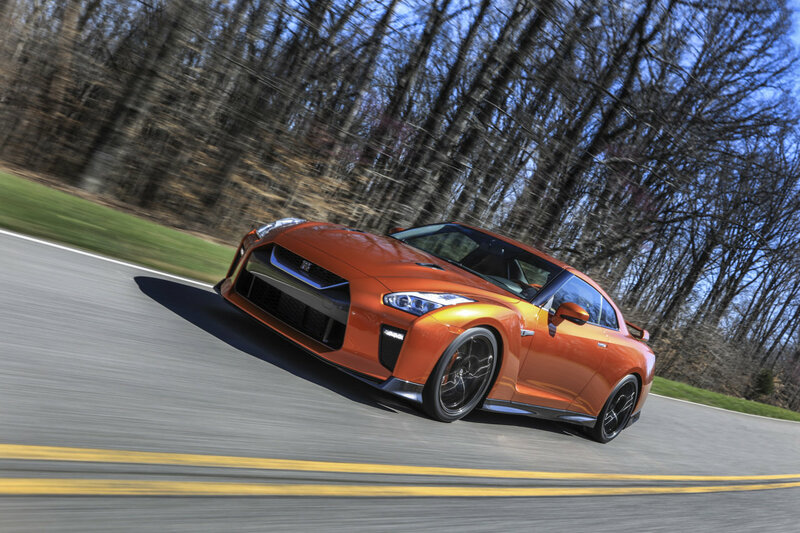 The look is modern and aggressive, and it dramatically changes the way the GT-R looks as the light starts to fade. The rear of the new car sees changes that ever more subtle, but not less effective at altering the car’s looks and performance. 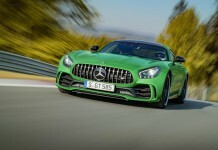 The previously flat rear end has been sculpted with a higher beltline, new “V” cuts above the lower diffuser section, and there are now functional side air vents flanking the outside edges of the Howitzer-sized exhaust tips. For an added bit of flash, a metallic center finisher in the bumper mirrors the one found in the nose to tie the whole look together. Under that new hood you will find the same 3.8-liter twin-turbo V6 that the car debuted with, but once again Nissan’s engineers have found a way to squeeze just a bit more power out of the thing. Power output is rated at 565 horsepower and 467 lb-ft. That is a gain of 20 ponies and 4 lb-ft. Not a huge bump, but every bit of extra grunt matters in the world of supercars. Thee more substantial changes are found further down the drivetrain with a heavily revised transmission that Nissan claims is now smoother and much quieter. They also say the new titanium exhaust system allows more growl from the engine. Less transmission whine and more exhaust roar sounds good to us. 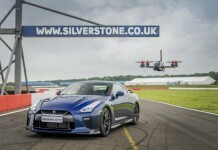 Just to make sure the car can make the most of that slight power bump, Nissan also stiffened up the chassis a bit more, altered the suspension tuning, and then gave us some slick-looking new forged alloy wheels. Then we make it to the cabin. 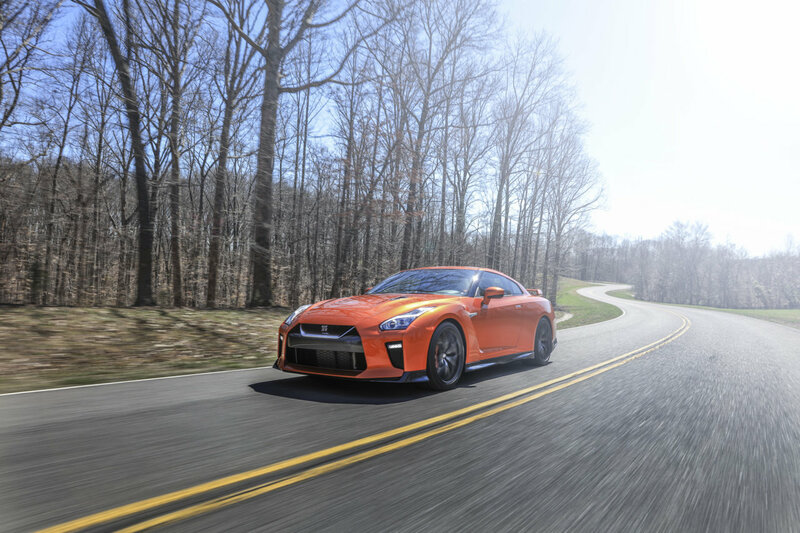 As fast as the GT-R is, and as cheap as it is compared to its competitors, the interior has always been a pretty substantial low-point in the car’s design. While functional, the cabin always felt cheaper than it should be. I get that leather is heavy and plastic is not, but when you are charging more than $100k for a car, there is a certain expectation of luxury. Nissan has finally heard the cries from the various owners and journalists of the world, and the 2017 GT-R has a massively redesigned cockpit. The dash is all-new with a much flatter and cleaner shape, and joy of joys, it is no longer one huge slab of cheap plastic. Nissan has covered the entire dash in a single piece of Nappa leather. That is the kind of quality that you would find in a Ferrari. The center stack is also more compact, and the large empty whole in front of the shifter has been removed. This now moves the iconic [R] switches to directly behind the shifter. There is still a large LCD display is still mounted high-center, but the small fiddly buttons that were found under it have been moved to flank the screen, and the size has been bumped up to eight inches. Nissan claims the number of switches to control the infotainment system has been cut from 27 to just 11. A welcomed change to be sure. 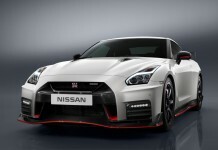 Increasing the comfort quotient of the car even further, Nissan has added more sound dampening materials throughout the cabin, fitted the car with a windshield made of acoustic glass, and the car now features active noise cancelling technology. To offset the weight of those new bits and pieces, Nissan has thinned the padding around the instrument panel, and found a way to make the seats lighter without impacting comfort or support. In short, the cabin now looks like it belongs in a $100k car. The GT-R has always felt like a car that was never quite finished to me. It’s speed and performance was mind altering, but when you were not flat-out all the little details bothered me. The engine was just a bit to quiet, the transmission a bit too loud, and some of the interior pieces just felt like after thoughts. It may have taken them nearly 10 years, but it seems that they may have fixed every problem I ever had about the GT-R, essentially making it the perfect bargain supercar. I can’t wait to get a chance with one to see how much it has improved.